Uploading videos on Facebook can be great fun. People are always looking out for the videos launched by their friends on Facebook. People are fond of watching any video they find interesting severally. This is why most people wish to learn how to save videos from Facebook to enable them watch the videos whenever they feel like doing so. If you had uploaded the videos you now wish to download, you can follow the steps outlined below to download the videos. 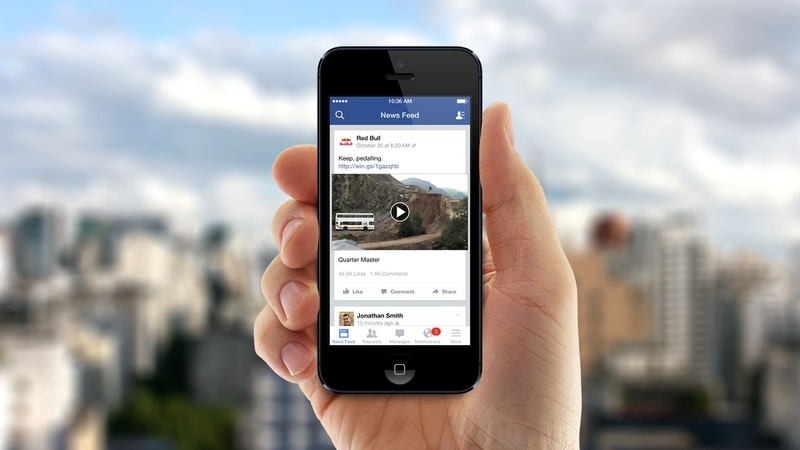 Log into your Facebook account and browse the videos found in your photos/Albums. Once you open the video, click on the option link found directly below the video. In the options displayed, you will find things like, Download HD and Download SD, then click on the link based on the quality of the video you wish to download. Note: SD means Standard Definition, and HD means High Definition. HD remains the best quality of the video you can get, but it is usually a much larger file size. If you cannot find any of these links, then you were not the person who uploaded the video in question. Then you should go to the link that says download a video posted by a friend or family member. Right-click on that particular video and choose the save video option found on the displayed menu. Then choose where you wish to save the video on your hard drive. You are done. This method ought to work on every Facebook video. This method loads the Facebook mobile version instead of the desktop version, even when you do not use a mobile device to gain access to the site. Saving mobile videos uses HTML5 video instead of Adobe Flash, and this activates the HTML5 video player found on Facebook, and this in turn shows the save video option when you right click on the context menu. This method, however, has one setback: When you turn to the mobile version of the site, the quality of the video decreases. Even the player does not give you room to improve the video quality, and it is not yet clear if there is any parameter that can be added to the URL in order to improve it. There are several apps out there that lay claim to helping you download Facebook videos, but it took me quite some time before I could discover apps that really work for free. Every other app demanded payment before I could save the videos on my camera roll. So to begin, download the Video Downloader Plus you find on the app store before launching the app. Once the app opens, you will find a browser page through which you can use the URL to open any website. Since you wish to download through Facebook, you must log into your account first. To begin, first unlock the phone using the fingerprint lock. Search for the Facebook Messenger Icon. This is a bluish-white icon that has a white light inside. Tap on it only once to open it, and it will take you to your chat history, but what you need access to is the settings. Locate the settings icon, this has a gear-like shape, and it is at the bottom menu bar located at the right-hand side. Scroll a little bit down to locate the Auto Download Videos option. At the moment, it is only set for WiFi, which means once you are connected to WiFi, the phone will download videos automatically. You can change it to enable it download videos always even with a cell phone network by tapping on it. Currently, this feature is off, but you have to turn it on. Just tap on the switch and it is on. From this moment, every photo or video file you receive through Facebook Messenger will be automatically saved to Camera roll.